The ability to do something about the environment has today gained a further dimension. The new challenge is how much reward one gets from a particular system and how much more the system is worth. Is the type of technology employed in the system sensitive to the costs of running it? And what is its contribution to environmental degradation? These are the questions every discerning buyer of air conditioning systems should ask? Both for the natural human comfort and as a requirement for environmental control such as in Hospital Pharmacies and Theatres. Air Conditioning is rapidly becoming the norm of life even in Kenya where such considerations were initially viewed as optional luxuries. Besides the cost, the choice of Air Conditioners will be determined by the intended purpose and value of the performance, which is a factor of the features of individual units or brands. The size of Air Conditioning units is largely dependent on factors such as the area of the room, number of occupants in a room, and the location and kind of activity or business conducted in the room considering also the equipment or machinery. Other factors are architecture of the building and budgetary considerations. The maintenance of a high quality of life in relation to the consumption of the earth’s precious resources is an important topic of discussion worldwide. A truly high-quality and comfortable life cannot be realized without solutions to global environmental problems. We as Daikin representatives take this issue very seriously, giving much thought to what we must do as an enterprise and seeking to discover those things that only Daikin can do. With energy conservation as the goal, Daikin researches and develops technologies that use energy resources other than electricity. This has led to the development of air conditioners for shops and stores that reduce power consumption by up to 70%. Daikin works to develop easily recyclable products for more efficient uses of resources. The production system uses readily recyclable materials, works to standardize and reduce the number of parts, and simplifies disassembly to achieve an efficient recovery and recycling system. Daikin is working toward recycling packaging materials and have replaced polystyrene foam with pulp and cardboard materials. 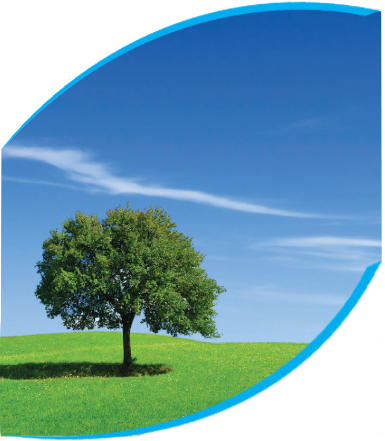 From product development to final distribution, Daikin works to reduce waste and use readily recyclable materials.